Fans of superstar singer Beyonce have voiced their rage over her up and coming UK arena tour, with ticket prices and eBay sellers all coming under fire. The 31 year-old announced her return to music with a performance at the Obama inauguration party earlier this year. She then put on a sensational performance alongside her former Destiny’s Child bandmates at the Superbowl, and told fans that she’d be embarking on a world tour - dubbed the ‘Mrs Carter Show’ - in the coming months. After announcing her UK tour dates at the start of the month, fans began scrambling to make sure they got hold of Beyonce tickets. And now, after what was just the pre-sale, people are making it clear that they’re unhappy with the price of the tickets - and the problems they've had purchasing them, with incredible demand taking down ticket agency websites. Is beyonce bankrupt or something? Why is her show tickets so expensive? Despite being an exclusive O2 Priority pre-sale, tickets still sold out in a matter of minutes, and when they go on general sale tomorrow, there’s expected to be over ONE MILLION fans fighting it out for just under 200,000 Beyonce concert tickets. 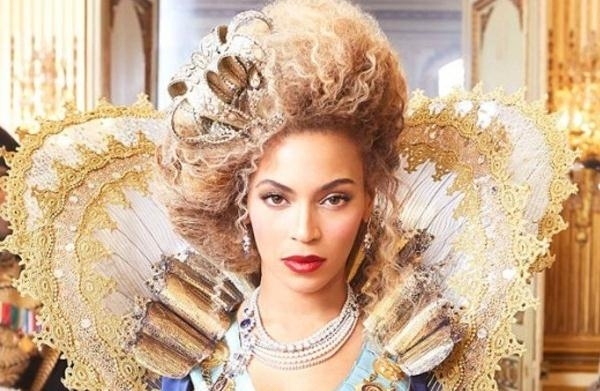 Ticketing websites are bracing themselves for a huge rush tomorrow morning for Beyonce Tickets, as fans flock to the internet to secure their Beyonce gig tickets. Tickets for Beyonce's eleven-date 'Mrs Carter Show' UK tour are on general sale from 9.30am tomorrow morning. This week Beyonce added further Manchester, London and Birmingham shows to cope with the huge pre-sale demand from the O2 customers. But what happens if you don’t manage to get hold of a ticket? Well there’ll be plenty of tickets available on fan resale sites, but this has upset some fans. So, simply put, if you want Beyonce tickets, make sure you’re up, online, and ready to battle with the masses tomorrow morning before they go onsale at 9.30am! If you miss out, and many inevitably will, you can compare tickets safely at Stereoboard from our panel of exchange sellers - where market demand will determine their asking prices. Check the dates and links below to find the full tour details - and good luck! Click Here to Compare & Buy Beyonce Tickets at Stereoboard.com. Beyoncé and Jay-Z have surprise released a joint album. Khalid pens sophisticated, understated R&B melodies supported by a moodiness that listeners can readily relate to. On his first album, ‘American Teen’, we saluted a charming vocalist’s brittle vulnerability laid bare on record, and some honest words on anxiety and insecurity characterise its follow up, 'Free Spirit'. At 21 years old, he’s still figuring it all out.